We here at Beyondip.tv do not intercept, decode, decrypt or re-transmit / re-stream any signals either from cable or satellite. We buy the feeds at wholesale and then pass the savings onto you as our club members. *** NO INSTALLATION FEES OR ACTIVATION FEES. *** THIS IS AN ALTERNATIVE SERVICE THAT COULD FULFILL YOUR ENTERTAINMENT NEEDS WHILE SAVING YOU MONEY. *** Joining is simple either buy a box from us or have us place the app on your current box that’s it you are a member! 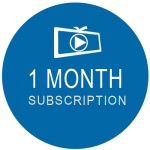 We are pleased to announce Beyond HD IPTV now offers more then 1 service provider for service! ***No Refunds; repeat NO REFUNDS after your account is made!! *** Do NOT BUY if you don’t understand what IPTV is. *** Internet is required for this to work! We are not responsible for slow or poor quality internet service stopping you from using IPTV. *** Beyond HD IPTV has no right or any say so on what goes on at Nitro IPTV or TV 66. We are not responsible for channels going down/freezing! *** We don’t do auto-renew; If you want to extend your service message us and we will setup auto invoicing via square and you will need to pay this invoice before the account auto ends or your streams will go dark. 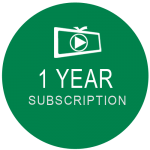 *** If it is your first time buying Nitro / TV 66 Streams please allow up to 24 hours (depending on how busy we are) for an email to be sent to you with your activation info. You can either click Any of the circles to setup your Internet TV or you may click the button below to be taken to Square! Take me to square so i can get started! 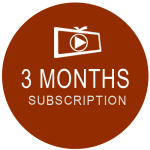 by subscribing to these services you take full responsibility for any content you may watch. Please be advised that once your subscription is active for what ever time period you have choosen there are NO REFUNDS under any circumstances!!! Payment for service is due before activation.